Evie Snow is eighty-two when she quietly passes away in her sleep, surrounded by her children and grandchildren. It's the way most people wish to leave the world but when Evie reaches the door of her own private heaven, she finds that she's become her twenty-seven-year-old self and the door won't open. Evie's soul must be light enough to pass through so she needs to get rid of whatever is making her soul heavy. For Evie, this means unburdening herself of the three secrets that have weighed her down for over fifty years, so she must find a way to reveal them before it's too late. As Evie begins the journey of a lifetime, she learns more about life and love than she ever thought possible, and somehow , some way, she may also find her way back to her long lost love . . .
On the Other Side will transport you to a world that is impossible to forget. Powerful, magical and utterly romantic, this is a love story like no other from everyone's favourite 'big sister', Carrie Hope Fletcher. 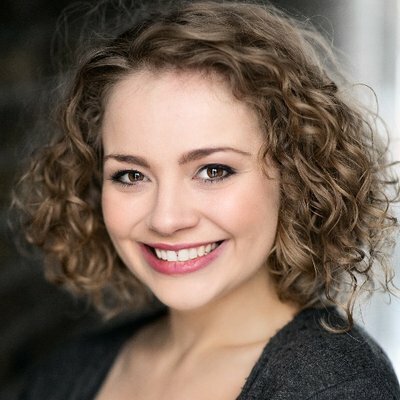 I love Carrie Hope Fletcher! I am what you would call a Hopeful. I follow her on social media, love watching her youtube videos and I was lucky enough to meet the lady herself whilst she was in Les Miserables. I read her first book All I Know Now last year and I took away a lot of helpful advice from it. So, when I found out she was going to be writing a fiction novel I was overwhelmed with excitement. I preordered it and waited what seemed to be forever, until I was finally able to read On The Other Side and find out what Carrie's fiction writing was really like. Evie Snow passes away at the age of eighty two peacefully in her sleep surrounded by all her loved ones. When Evie reaches the door to her own private heaven she is shocked to find that she has become her twenty seven year old self and also that the door won't open. Evie's soul is too heavy to pass through and to be able to get to her own heaven she needs to make her soul lighter. Which means unburdening herself of secrets she has kept hidden for over fifty years. As she begins her journey she learns a lot more about life and love and that somehow she could find her way to her long lost true love. I really enjoyed the concept behind On The Other Side and found it to be really unique in the way it was portrayed. I really liked the idea of having your own private heaven and the magic surrounding it. Carrie's writing was also a lot stronger than I thought it would be, and you definitely got her tone of voice through it. At times I was sure I was reading with her voice in my head, which is something that I had never experienced before when reading a book. Carrie is someone who is a dreamer and this also came across in the book. The magic within the story was very prominent and appealed to me greatly. Evie Snow was a heroine that I took to straight away. I loved her attitude and her magical, spirited nature. I also felt rather sorry for her at times during the book, especially with regards to her family life and her upbringing. I also had a slight inkling that Evie was based on Carrie herself, due to the mannerisms of the character, but I could be wrong. I adored Vincent Winters and found myself wanting him to be my long lost love. The way he was described was perfection and him and Evie were the ultimate perfect couple. It was like they were made for each other. To be honest I don't think there was a single character in the book that I didn't like. I loved Jim Summers, Eddie Snow, Isla and Autumn and Sonny. I also found the fact that the characters names were all based on seasons of some sorts to be really fascinating. The only problem I had with On The Other Side was the time frame. In the flashbacks to Evie's life I got the feeling that it was set in the fifities or sixties but then mobile phones are mentioned which had me feeling slightly confused. So I started thinking that maybe it was set in a more modern time, but that wouldn't have explained the way Evie's parents were with wanting her to marry someone chosen by them and the control over her life. It was all a little bit too much to handle. However, I don't let this take away the fact that the story itself is full of magic, wonder and love. On The Other Side was a great read. I was transported to this world of magic, hope, dreams, adventure and love and I wouldn't have had it any other way. This is great debut of fiction by Carrie and I am really hoping that she brings out more as I need to read more of her stories if this is anything to go by. She is currently playing Truly Scrumptious in the UK touring production of Chitty Chitty Bang Bang. Her first fiction novel, 'On the Other Side' is due to be published in July 2016.